Ultimate Team has sort of taken the spotlight away from Career Mode in recent years, but there's still a great time to be had with the OG offering. FIFA 19 Career Mode hasn't changed much since last year, but you'll still need to know what you're doing if you want to see your team thrive. 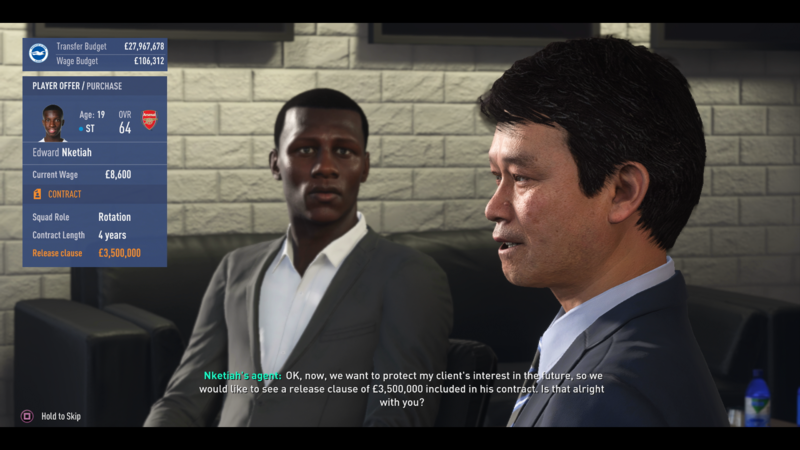 In this FIFA 19 Career Mode Guide, we'll detail everything from Player Scouting to Transfer Negotiation Tips. We'll also detail the changes that have been made since last year, and offer some advice on making the most of your time as Manager. For more on FIFA 19, you can head over to our FIFA 19 Guides Hub. It’s got everything you need to know about the game, including a look at the best young players in FIFA 19, all 5-star skill players, and plenty of FUT 19 tips. 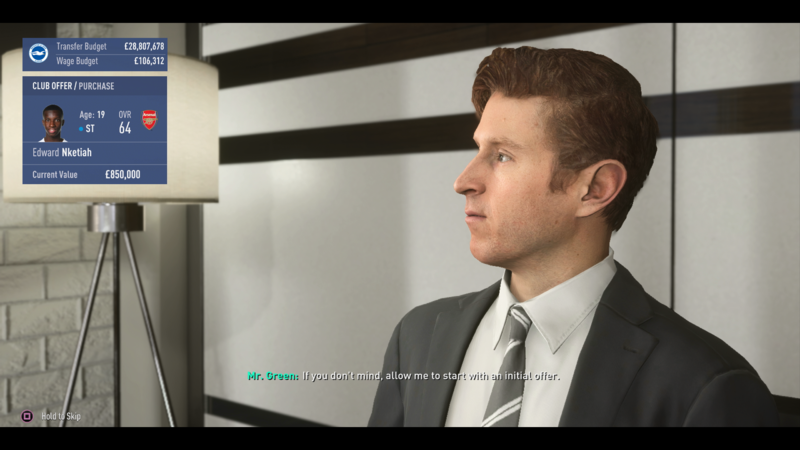 Career Mode is the classic single-player mode in FIFA 19. It involves taking on the role of Manager at a club of your choice. From there you’re free to manage the team as you wish, buying new players, retiring others, and working towards personal goals. Each team will ask that you satisfy a set of Manager Expectations. These vary from team to team but can range from big cup victories to division promotion. There’s a fair bit to take in, so we’ve pulled together all of the key info below. Make use of your first transfer window - When starting the season, you’ll be right in the middle Transfer Season. You’ll have a Transfer budget ready to use, so make sure you do. Play the pre-season tournament - Usually, when you start a Career in FIFA 19, you’ll be given the option to take part in a number of pre-season tournaments. We recommend that you do, as it’s here that you can experiment with tactics and squad rosters. Use dynamic tactics - The new tactics screen introduced this year is a real winner, allowing you to fine-tune individual tactics and game plans. Take some time to play around with the new options, as they can really elevate your game. Do some research - You don’t have to feel around in the dark for the best transfer options as there’s plenty of info online. Many sites (including us) have lists showing hidden gems and wonderkids, so you know exactly who to target early on. At the end of each game, come up with a to-do list - Write down some tasks that need addressing before starting the next game, and keep some long-term goals on there as well, it’ll help you manage your expectations better. Play as many games as possible - Okay, we get it, playing every single game in FIFA Career Mode can be a bit of a chore. Simulating matches is risky though, and skipping through important ones is a big no-no. If you’re looking to sign a player that you know you probably won’t end up selling, then add on sell-on fees. This will make the deal more attractive to the seller, though really it doesn’t make a difference if you don’t plan on selling. Transfer Negotiations can breakdown mid-meeting if you’re not careful. Listen out for the seller saying things like “we won’t accept any more than..”, if you undercut them at this point, they might just walk away. You can always make a follow-up offer, so don’t scare sellers off straight away with low offers. Scout as much as you can, this will give you an accurate estimation of what the seller is willing to accept as an offer. Be careful when offering squad roles. If you promise a vital role to a young player that you intend to bench, they’ll quickly become annoyed and call you up on it. Go high on player salary to avoid signing fees. It’s always good to scout as many players as possible. This way you’ll have more options, and key info which can inform your transfer Negotiations. Pay attention to each player’s type. This is more indicative of their true position than the one listed by the scout. You can’t see a player’s date of birth, so check back in regularly to see if they’ve turned 16 and are eligible to be called up to your squad. Don’t be afraid to leave players in the academy a little longer, it’ll benefit them in the long run. 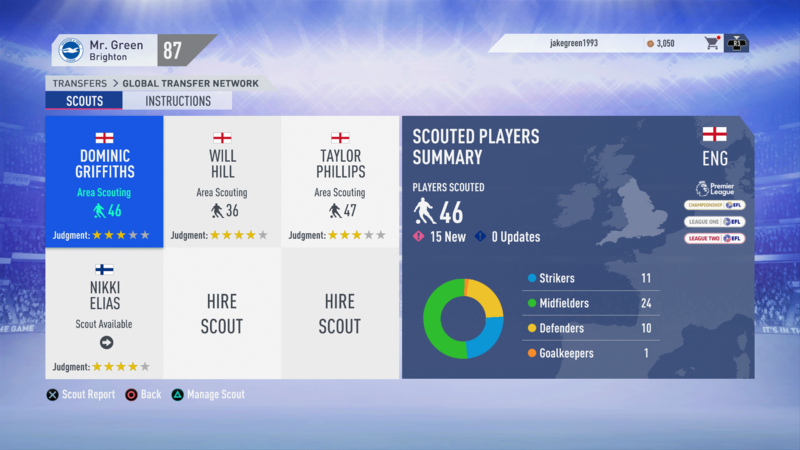 While FIFA 19 does add a fair bit of new content when compared to its predecessor, career mode has definitely received the short straw. The big change is the addition of the UEFA Champions League, which operates as another tournament that you can play through. Elsewhere, there's a brand new difficulty setting in the form of Ultimate, previously reserved for FIFA Ultimate Team. There's updates to visuals, all new dynamic tactics and tweaks to breaking news and presentation. You can now use a fourth substitute in extra time, mirroring recent rule changes. Other than that, it's largely more of the same, with minor updates to training drills and transfer negotiations.